Flip Troiano, MD, is a functional integrative medicine practitioner and fellow in the American Academy of Anti-Aging Medicine (A4M), a member of the Institute of Functional Medicine and a board certified Emergency Medicine physician. 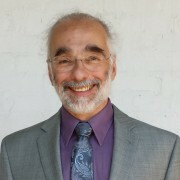 He is one of the founding members of the Wisconsin Institute of Integrative Medicine. He earned his undergraduate BBA from the University of Wisconsin-Milwaukee and his medical degree from the University of Wisconsin – School of Medicine. He did his internship at Cook County Hospital in Chicago, where he earned the Dr. Bruno Epstein Achievement award in recognition of Meritorious Service in the care of patients. He finished his second year of Internal Medicine residency and his Emergency Medicine Residency at the Medical College of Wisconsin. He has practiced Emergency Medicine since 1987, first as faculty in the Section of Trauma and Emergency Medicine at the Medical College of Wisconsin, continuing with full time practice of Emergency Medicine for 16 years at St. Luke’s Medical Center and 9 years at Aurora Sinai Medical Center in Milwaukee, WI. In the Emergency Department most of his time was spent dealing with the exacerbations of chronic illnesses. Dr. Flip saw ever increasing numbers of younger patients returning to the Emergency Department with worsening exacerbations of heart disease, hypertension, diabetes, chronic fatigue, abdominal pain, chronic immune diseases, and obesity. He became increasingly concerned with the standard practice of medicine which emphasizes the treatment of symptoms but does little to encourage a root cause analysis of the disease process. “Dr. Flip” is presently pursuing a Master’s Degree in Anti-Aging, Regenerative and Functional Medicine. In the field of functional and integrative medicine he discovered that we already have the science and the ability to diagnose and reverse or significantly alter the course of many of the chronic diseases that are plaguing our society today. Following a thorough evaluation of history, genetic factors, environmental exposures, nutritional status, sleep patterns, stress levels, support systems, exercise habits and laboratory testing an individualized plan of care is developed. These plans integrate lifestyle modifications and relevant, evidence-based science from both traditional and alternative medicine in order to restore and maintain health. Dr. Flip’s goal is to help his patients lead healthy, happy lives filled with boundless energy, restful sleep, increased mobility, less pain and great vitality. Licensed/Board Certified Massage Therapist, Masters Degree in School Guidance Counseling, Certified in Integral Breathwork and a Certified Clinical Hypnotherapist. 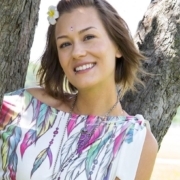 Karli is also a Reiki Master Teacher, Certified Yoga Instructor, Cranial Sacral Therapist and Qigong Instructor. Karli is currently studying for her LPC exam to become a Licensed Psychotherapist in the state of Wisconsin. 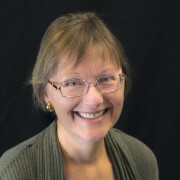 Karli can help you reclaim your power and establish your relationship with yourself. As a trained Life Coach, she helps you see the bigger picture of who you are and how you can draw on your strengths to release feelings of lack or inadequacy. She incorporates a number of modalities in order to approach your healing on many levels at once, addressing the mental, emotional, physical, and spiritual parts of yourself. She focuses on increasing the quality of your relationships, your ability to relax and enjoy yourself, as well as releasing unresolved trauma, addictions, or self-destructive patterns. As an Empath, Karli feels, reads, balances, and restores the aura/chakras. She uses this gift in combination with various psychotherapies to heal mental and energetic trauma while clients access the Theta State. Karli believes that shifting our Energy/Consciousness starts with our own self awareness and self healing.